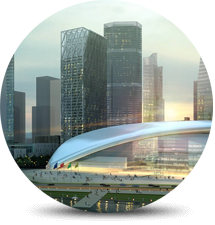 The ISS SecurOS solution set powers the most advanced video management and video analytics deployed anywhere in the world. From the warning and aversion of threats to the prevention of terrorism and the provision for the safety of people and economic well-being of businesses. ISS is the proven technology partner of the world’s largest integrators in the video security and surveillance marketplace. ISS has a very wide range of deployments, in areas such as transportation, retail, banking, colleges, government, industry, and urban surveillance, and with a truly open platform that allows one to expand their solutions at their own pace. were a significant leap forward for the security industry when it was introduced a number of years ago. However, VMS has become a commoditized technology as the need for more intelligent and automated solutions grows for security clients. ISS has built on industry VMS technologies and developed advanced command and control solutions using multiple forms of analytics, automation, device and event monitoring and management. 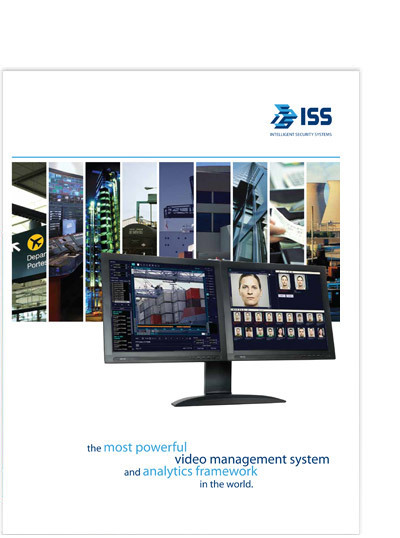 More and more clients worldwide turn to ISS for their security needs because of our comprehensive video management and video analytics solutions. SecurOS is the proven choice in the industry; our vision and commitment of achieving the vanguard position of surveillance technologies are what fundamentally drives the company forward. ISS offers its worldwide customer base more convenience, more value, and more security. SecurOS has been designed to meet the diverse and ever-changing needs of the ISS worldwide deployment base. As pioneers in video management and video analytics, ISS built its open platform from inception with an eye to long-range needs. As a result, SecurOS solutions can easily integrate with a variety of legacy and disparate systems, tying them together to create a comprehensive security solution. Video images based on algorithms that have their origin in satellite technology provide a level of pinpoint accuracy that has raised a new standard for the industry. With over 100,000 systems in command of over 1.5 million cameras worldwide, in 53 countries and with over 400 global partners, SecurOS solutions have been proven time and time again in mission-critical installations worldwide. 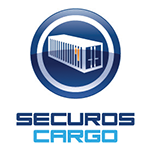 The largest and most demanding installations are handled by SecurOS Enterprise. Enterprise supports an unlimited number of connected servers managing an unlimited number of cameras and devices. Additionally, Enterprise supports the full complement of ISS Video Analytics Modules on all channels and can be deployed in a standalone deployment or as part of a more enterprise level SecurOS Monitoring and Control Center (MCC) system. An unlimited number of cameras, servers, devices, and analytics modules powers enterprise level solutions. SecurOS has no limits whatsoever to how large its network can be. Scalable system topology generates ready ROI on the system – new functionalities and capabilities can generally be added with minimal software management. Allows for the integration of analog cameras as well as most industry recognized IP and megapixel cameras. Security networks of unlimited scope – video or telemetry can be locally or centrally monitored and administrated. License Plate Recognition, Face Recognition, Container Recognition, Object Tracking / Unattended Object Detection, Shrinkage Detection, People Counting, etc. Open architecture – integrate third party systems and devices into one common monitoring/management platform. Program rules based complex reactions to complex events to intelligently and dynamically react to real world events. 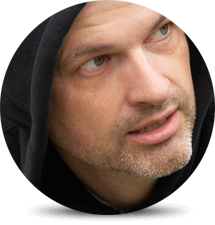 SecurOS provides a unique scripting interface to create new event management capabilities and reactions on the fly. Advanced analytics and integration of surveillance platform with business process systems allows for proactive action. 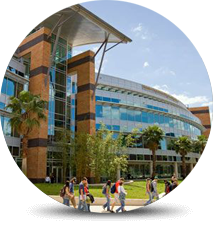 SecurOS Premium is an excellent choice for video surveillance applications that require advanced video analytics on specific camera locations and installations. It supports up to 640 cameras and up to 20 channels of analytics per analytic module. SecurOS Premium supports the basic complement of ISS Video Analytics Modules and can be deployed standalone or as part of a larger SecurOS Monitoring and Control Center (MCC) system. SecurOS Premium supports up to 20 servers, 640 cameras, and up to 20 channels of ISS’ turnkey video analytics, such as Face Recognition, License Plate Recognition, and Container Recognition. SecurOS Premium further supports smart video modules such as POS and ATM Transaction Monitoring and Synchronization. Program rules based complex reactions to complex events to intelligently and dynamically react to real world events. From multi-layer maps, custom user-based screens and permissions, to custom forms and GUI, SecurOS allows for complete customization based on user need. SecurOS Professional is an excellent solution for standalone or multi-server, medium to large video surveillance deployments up to 320 cameras. It has more advanced features than SecurOS Xpress, and shares the same core system and graphical user interface as SecurOS Premium and SecurOS Enterprise. SecurOS Professional supports Point of Sale (POS) and ATM integration and can be deployed standalone or as part of a larger SecurOS Monitoring and Control Center (MCC) system. SecurOS Professional supports up to 10 servers, 320 cameras, and wide variety of devices including I/O controls and audio. 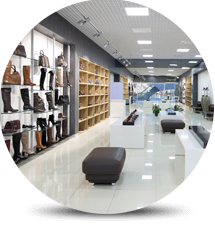 Professional also supports ISS Smart Video modules such as POS and ATM Transaction Monitoring and Synchronization. Develop customized user screens based on the needs of each specific security deployment. Watch the cameras from one server or merge cameras from multiple servers into a unified view. Tie in custom interfaces and maps to meet the exact needs of each user. Macro based event management for ease of use. SecurOS Professional is extremely easy to use, with users generally up and running within minutes of system deployment. 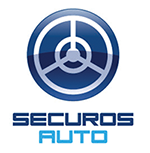 SecurOS Professional can easily be upgraded to Premium or Enterprise as your security needs grow. SecurOS Xpress is an ideal solution for video recording and management in small to midsize security deployments, and brings the surveillance system into the network. The advanced features of SecurOS Professional, Premium and Enterprise are now available for smaller installations. SecurOS Xpress shares the same core system and graphical user interface as those three solutions, and can be easily upgraded to either one for future expansions. SecurOS Xpress supports a Single Server installation, up to 64 cameras. Develop user screens based on the needs of each specific security deployment. Watch the cameras from one server or merge cameras from multiple servers into a unified view. Tie in custom interfaces and maps to meet the exact needs of each user. Xpress is extremely easy to use, with users generally up and running within minutes of system deployment. SecurOS Xpress can easily be upgraded to Premium or Enterprise as your security needs grow. This solution provides a number of unprecedented advantages for users, including the ability to accurately capture license plate information at 130 mph (210 km/h) and in all kinds of weather conditions, including light fog, rain, and snow. The advanced algorithms involved in the technology result in the sort of pinpoint accuracy that distinguish letters from numbers, so that, for example, an “8” is not mistaken for a “B”, a crucial advantage, particularly in emergency situations when one has only milliseconds to get it right. 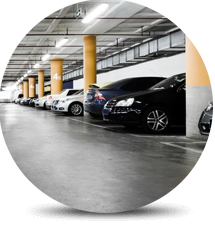 SecurOS AUTO integrates easily with third party parking management or smart roadway systems, as well as legacy security equipment and external databases. It is a highly effective tool for vehicle registration tasks, control of traffic, and the access control of vehicles. 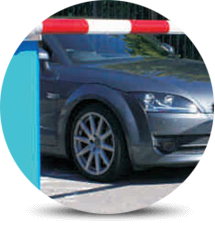 SecurOS EdgeAUTO is an integrated solution for license plate capture and recognition, ideal for parking, access control, and border crossing installations; especially for those with limited network connectivity. EdgeAUTO’s embedded module runs on AXIS ACAP and Samsung Open Platform for supported cameras. The module analyzes the raw camera video, sending selected JPEGs (with captured license plates) and metadata to the SecurOS AUTO Server for recognition. This solution works with SecurOS EdgeStorage Sync to deliver high-resolution streams back to SecurOS Servers/Clients with video of the vehicles passing. Solution for parking areas, providing vehicle safety, increase of speed and quality of service, and the reduction of unauthorized access, fraud and theft. 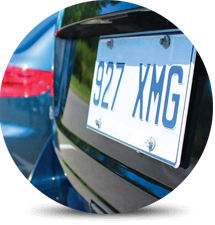 Automatic registration and saving in database of video image, date, time, plate numbers of incoming and outgoing cars. Protection of strategic areas and high security areas. License Plate Recognition may also be integrated with ISS Traffic Monitoring or other third party traffic management software to create a safe traffic hub for municipalities. Effective tool for police and other municipal services: automatic registration in traffic of vehicles which are flagged for search, analysis and alarms for infringement of road rules etc. SecurOS FACE is a Image Analytics Module for SecurOS and provides Face Capture & Recognition with a high accuracy level in a wide variety of challenging conditions and as such, is ranked among the most accurate of all Face Recognition systems in the marketplace. The reason for such a high level of accuracy has to do with the background of ISS in image analytics technology, and the related expertise with advanced algorithms, which then identifies and matches an individual’s specific features with relentless attention to every detail. As a Video Analytics/Biometrics Module SecurOS FACE images can be archived in a database for real time identification. It can be used for active recognition where subjects know their image is being captured or passively, where they do not have knowledge of such surveillance. It can be used as a standalone system or in conjunction with an access control or other third party systems to enhance functionality. Key Applications of SecurOS FACE Automatic registration and saving in database of video image, date, time and face coordinates on the video. Comparison of information at arrival / departure of persons. Integration with Time and Attendance systems. Recognition of V.I.P. Guests or Unwanted persons. Protection of strategic and high security areas. • Advanced image analytics for extremely fast and accurate Container Character Recognition – automatically reads and records the container ISO code. • Top number recognition for front and back of container and side number recognition. • Localization and automated selection of best image frame for highest recognition capability. • Capability to alarm based on recognition and to pre-program pass/alarm lists. 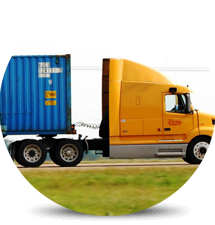 • Provides verification against cargo manifests. • Access permissions, restrictions and rights & privileges of persons in protected areas. • Formation of a database with tagged data such as date and time, container number, and associated video. • Advanced event/response management including time schedule engine, adjustable thresholds, and alarm capabilities. • No special cameras required. • Integrate with other ISS sub-systems, SQL databases, and third party systems. • Specify reaction to positive comparison. • Instant data search in video archive. • Automatic notification (phone, e-mail, SMS). • Distributed and modular architecture to enable remote database query, monitoring and storage. 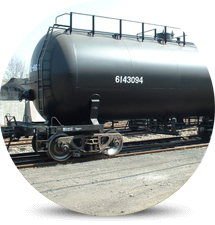 SecurOS TRANSIT is a Image Analytics Module for SecurOS and provides Character Recognition of carriages, tankers, and platforms on trains. 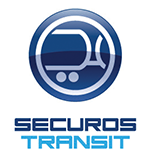 SecurOS TRANSIT is an effective tool for registration of railway vehicles at the shunting-yards and customs terminals, and also for the control of containers and deliveries to industrial enterprises, storehouses etc. 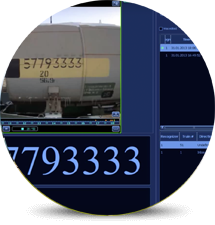 • Formations of video-archive by carriage numbers, date and time of travel, direction of movement, result of check of payment, serial number of the carriage, quantities (amounts) of carriages, average speed in control area (zone), etc. • Organization of common database and workplaces for monitoring and management with differentiation of rights of access to the data and work with system. • Adjustment for work with legacy video-cameras. • High quality of recognition and reliability of work in varying environmental and illumination conditions • Wide spectrum of video-cameras installation.